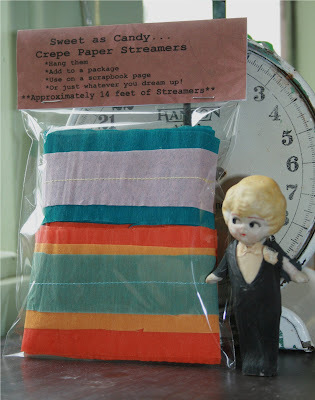 These crepe paper streamers are simply the sweetest! 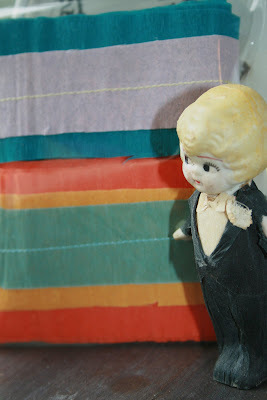 Made with wonderful vintage crepe papers that I purchased at a recent auction. I have sewn two and three layers of colors together to create these. There will be many, many color combinations so keep watching my shop for more. Also, if you would like a specific color combination, please let me know as I would be happy to do a custom order for you! * 3 layers of orange, yellow, and teal - stitched together with a teal thread. 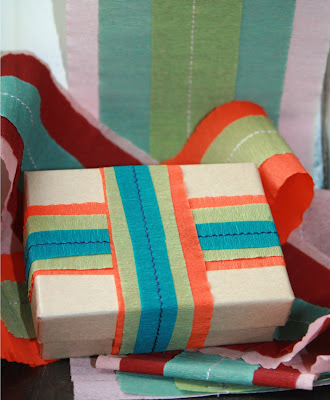 * 2 layers of Teal and Pink - stitched together with a yellow thread. Oh that's a fantastic idea. I can see these done in shabby chic looks .. use them to hold photos, business cards whatever. It would be so pretty.